The magic word… What is „gluten”? Gluten is a seed storage protein of cereals like wheat, rye and barley. It is characterized by physiochemical and mechanical properties that rarely occur in other proteins, i.e. flexibility, elasticity, stickiness and plasticity, all of which make it a highly desirable ingredient in the baking industry. Gluten can absorb abundant amounts of water. Owing to that, when flour containing gluten is mixed with water, it forms a sticky and chewy mass, which in turn allows to retain the carbon dioxide bubbles that are formed in the dough during fermentation. Because of that, gluten rich cereals are considered to be of top value, as gluten increases the volume of the dough while rising and also gives bread its porous texture after it’s baked. Sounds like a perfect ingredient, doesn’t it? However, for people who suffer from coeliac disease (gluten intolerance), it is quite the opposite. Gluten is no threat to the majority of people, but can cause serious health problems to those who are gluten-intolerant. 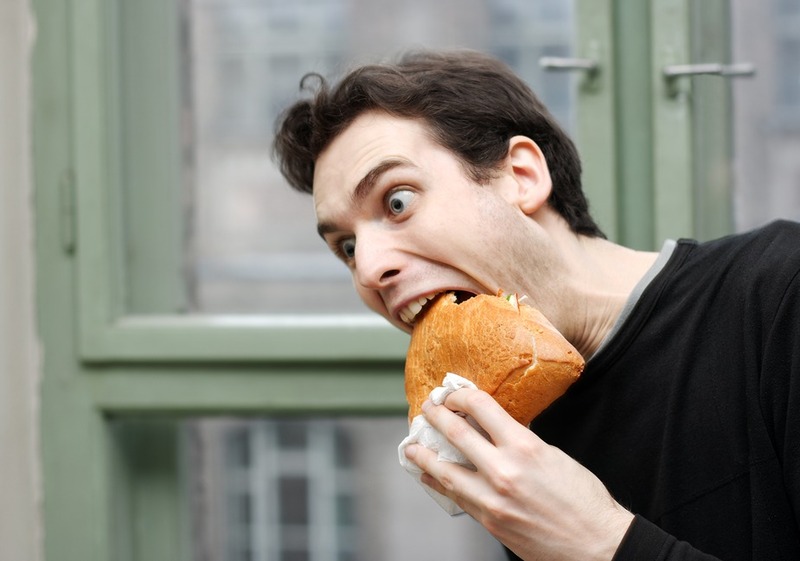 Coeliac disease and its symptoms. What are the complications of untreated disease? Being on a gluten-free diet your whole life is the only way to treat a coeliac disease! Which products are allowed and which are not in a gluten-free diet? A gluten-free diet is basically a complete elimination of all the products containing gluten and its traces from your menu. Consumption of any products containing wheat, rye, barley, oat*, triticale or spelt is strictly forbidden. Note! Gluten is often added to products which don’t even seem to need it at all. That is why you should ALWAYS read the food labels and NEVER eat anything of unknown source and content. Oat is a cereal that raises questions and doubts. There are continuous discussions on whether it is necessary to eliminate oat from a gluten-free diet or not. It is believed that the oat protein (avenin) does not cause the immunological reaction typical for coeliac disease to the same extent as proteins present in other cereals, therefore its minimal consumption is considered acceptable. However, in most of the countries (including Poland) oat is strongly contaminated by other cereals, which is why it’s necessary to eliminate it. Luckily, a special certified gluten-free oat from Finland is now available on the market. Its production is strictly controlled at the stage of seeding, harvesting, processing and distribution. Nevertheless, we have to keep in mind that about 5% of people with coeliac don’t tolerate it very well, and that it has to be introduced slowly and carefully. Regular oat is strictly forbidden in a gluten-free diet! It is important to realize that reading the labels carefully can protect us from gluten poisoning. Remember that even consumption of TRACE amounts of this protein may have dramatic effects for people suffering from gluten intolerance. When preparing meals for people on a diet, keep in mind that even using the same kitchen tools and dishes (if not washed thoroughly) may become a serious threat. It is always safer to use separate plates or prepare a gluten-free meal first, and only then – the non gluten-free one. If you use one cutting board for both gluten-free and regular food, you can be sure that your „gluten-free” meal is not gluten-free at all anymore. A person served that kind of food will not only experience typical symptoms of food poisoning (such as diarrhoea, vomiting or constipation), but will also suffer from other digestive problems for the following months. The table below presents a list of different products divided into those naturally gluten-free, those containing gluten and others that may contain gluten. Whether a naturally gluten-free product contains gluten or not, depends on the manufacturing process and it may very from one manufacturer to another. 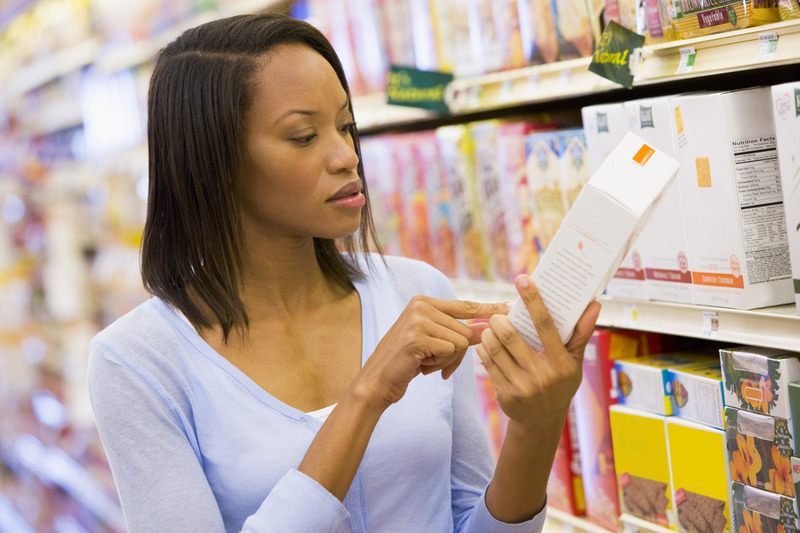 Nevertheless, it is necessary to read the labels every single time, paying particular attention to such ingredients as: aromas (including malt and barley malt), wheat protein, vegetable protein, dextrin and maltodextrin (if it comes from wheat, not potatoes), beer yeast, malt extract, barley malt extract, wheat germ extract, wheat bran extract, wheat germ glycerides, maltose, atta flour, wheat flour, malt flour, rye flour, malt vinegar, starch, modified starch, wheat starch, vegetable starch, stabilizers, malt, barley malt, malt syrup, and fillers. Nowadays, there are more and more companies producing gluten-free food which can easily be found in regular grocery stores and supermarkets, not only in the special food stores. Gluten-free flour mixes, gluten-free soy sauce, gluten-free sweets, gluten-free bread, gluten-free beer, gluten-free baking powders, etc. are now more commonly available. However, it still happens that some companies mark their non gluten-free products as gluten-free, misinforming their clients. To avoid any problems, I strongly encourage you to follow the studies of the Polish Association of People with Coeliac Disease and on Gluten-free Diet, which are regularly published on their website. • anti-deamidated gliadin(DGP / GAF). The abovementioned antibodies are typical for coeliac disease; however, although their presence confirms the disease, their absence doesn’t exclude it. In that kind of situation it is necessary to do a small intestine biopsy, which is usually performed endoscopically during a gastroscopy, to confirm or exclude the coeliac disease. The bowel samples are then examined to evaluate the degree of intestinal villus atrophy. The atrophy and the presence of at least one of the tested antibodies in the blood suggest that the patient suffers from coeliac disease. Nevertheless, keep in mind that the diagnosis should be done before starting a gluten-free diet. HLA-DQ2 allele or HLA-DQ8 allele play major role in the coeliac disease development. Presence of these two antigens was confirmed in 96% of people with this disease. Consequently, if these two genes are absent in a patient’s genotype, the risk of coeliac disease can be practically excluded. However, it is worth to consider that among 30% of healthy people a group of allele responsible for coeliac disease is also present. Accordingly, a lack of HLA-DQ2 allele or HLA-DQ8 allele almost eliminates the risk of getting sick; nonetheless, a positive coeliac gene test result cannot definitely state that a person is sick, but it confirms that they are genetically predisposed. In order to confirm coeliac disease, doctors recommend trying a gluten challenge. It means slowly reintroducing gluten products after a few months on a gluten-free diet. The reactions of our organism has to be closely monitored to catch any abnormalities. If the patient feels better after eliminating gluten from their diet and starts feeling worse after reintroducing it, showing the signs of food poisoning – coeliac disease can be confirmed. Gluten challenge, however, should always be conducted under doctor’s supervision. Having been diagnosed with a coeliac disease, it is absolutely necessary to go on a gluten-free diet immediately. After all, being on a gluten-free diet for the rest of your life is the only known cure for the disease. If patient’s health improves after the introduction of a gluten-free diet, it means that the doctor’s diagnosis was correct (a full regeneration of intestinal villi may take up to a couple of years, though a patient’s health and well-being are reported to improve no longer than after a couple of weeks of being on a gluten-free diet). In the case of a major atrophy of intestinal villi, at the beginning of the treatment, it is advised to introduce a lactose-free (no dairy products) and easily digestible diet. Coeliac disease is not the only condition in which a gluten-free diet is a must. The gluten elimination is also a cure in case of gluten sensitivity, allergy and Duhring’s disease. Gluten is one of the most common allergens, and in people who are allergic to it, it can cause vomiting, diarrhoea, anaphylactic shock, urticaria, allergic dermatitis, runny nose, bronchospasm. Aside from coeliac disease and allergy, we can also distinguish sensitivity to gluten, which provokes disturbing symptoms, but without the characteristic of coeliac antibodies in the blood (tTG and EmA) and without elevated levels of IgE, which occurs in wheat allergy. Among people suffering from gluten sensitivity, we observe abdominal pain, rash, eczema, headaches, fatigue, digestive problems, nausea and vomiting. In contrast to coeliac disease, in case of allergy and sensitivity, a gluten-free diet may be used just temporarily (not lifelong), depending on a patient’s condition. Duhring’s disease (skin condition related to coeliac disease) is characterized by blisters, papules, erythema (often very itchy), located mostly on the knees, elbows, and around the sacrum, on buttocks, back, face and scalp. Some people, apart from skin lesions, also suffer from a variety of symptoms involving the gastrointestinal tract, anaemia, weakness, depression, enamel defects and severity of symptoms after ingestion of medications or foods containing high amounts of iodine (e.g. fish and seafood). The basis of Duhring’s disease treatment is a strict gluten-free diet for a lifetime. In the beginning, the necessity to change a diet and all the habits (because any regular diet is rich in gluten) seems to be impossible. A lot of people worry they will have nothing to eat and that gluten-free food is tasteless. Don’t you worry! 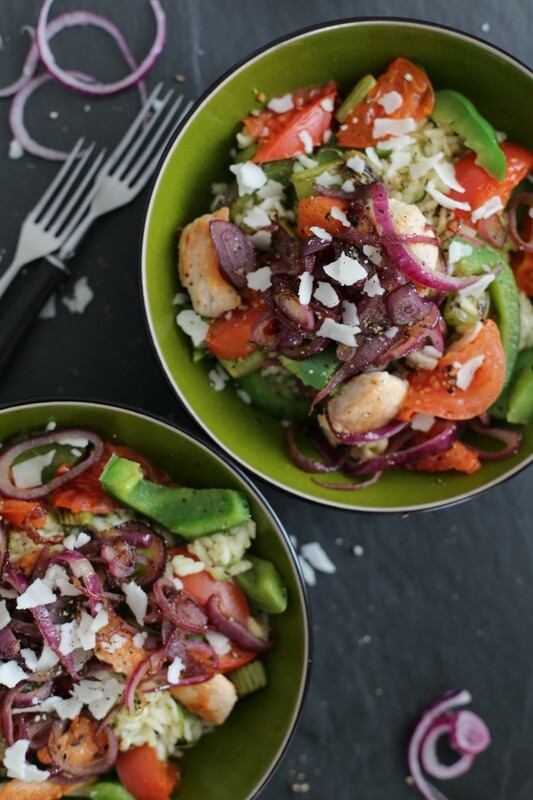 Gluten-free cuisine is often even more tasty and interesting than food ‘stuffed’ with gluten and the number of ideas for gluten-free meals is almost endless – I encourage you to visit the section „Recipes”, which is full of recipes for any occasion. Eating out, as well as eating during holidays or trips may be pretty inconvenient. However, there are many countries that pay a lot of attention to people on a gluten-free diet. This is where you can always be sure to easily find something gluten-free to eat. Places worth visiting for their gluten-free menu – both in Poland and in other countries – can be found in section „Travelling”. The Crossed Grain symbol is a registered trademark and using it without the licence is illegal. It is the world’s most recognizable graphical indication of gluten-free food. 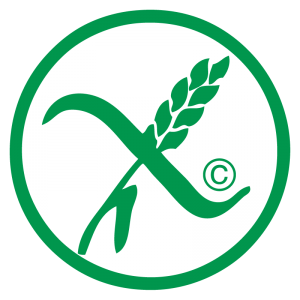 The rights to the trademark belong to The Association of European Coeliac Societies (AOECS). When buying a product with this mark, you can be sure that the product is regularly tested and the company is a subject to a consumer audit by the association. It should be noted, however, that there is only one „credible” Crossed Grain symbol and any other similar marks should not be trusted. You should follow a gluten-free diet only after a definite diagnosis of coeliac disease – it shouldn’t be followed based on a trend, because people for whom gluten is not harmful should not eliminate it from their diet. It is important to learn how to live with this diet and to remember that it should be followed throughout the lifetime and without any exceptions. Introducing even the smallest amounts of gluten into our diet destroys the intestines again and it wrecks all that we have achieved through the diet. Knowledge about a gluten-free diet is being gained throughout the whole life and even the most up-to-date information may not be actual tomorrow, so it is crucial to revise the information about allowed and forbidden products. When on a gluten-free diet, you must ensure that daily meals are varied and rich in different ingredients that contain essential vitamins and macro- and microelements (especially important for children). You should inform your family and friends that you are on a gluten-free diet and that your nutrition differs from the commonly accepted standards. Your loved ones need to accept it and take it into account in mutual relations. When selecting foods, you must be sure you purchase safe food. If you are not sure of a given product, never buy it. Do not eat unfamiliar products you are offered by others. Seek contact with people on a gluten-free diet. By sharing the knowledge and experience, it will be easier for you to overcome problems associated with it. There may be bread crumbs in butter or jam (served from a jar or another common dish). It’s better if a person suffering from coeliac disease has their own separate containers for these products. Cosmetics may contain gluten as well. It is particularly important to pay attention to products that may come into contact with your mouth – lipsticks or lip glosses. If you’re in a relationship, your partner does not have to be on a gluten-free diet, but remember it is essential to be careful with kissing! If your partner has eaten gluten, you should wait with pleasure-giving kisses as they first need to carefully wash their teeth and mouth. Medications often contain gluten. When at the doctor’s, you should inform them that you are on a gluten-free diet before they give you a prescription. When buying non-prescription drugs, always check the labels, because you might often find e.g. wheat starch in them. Research on diets and new products are still ongoing, so you should always update your information. To do so, I encourage you to visit section „What’s new?”.